Dirt Connections can simplify your construction plans through our Fairfax, VA fill dirt delivery service. Regardless of the size of your residential or commercial construction project, Dirt Connections is able to provide you with enough free fill dirt at your site to build your project upon. 7 Schedule Your Fill Dirt Delivery in Fairfax, VA! The primary use of fill dirt is to fill holes and build basic foundations. Many times, fill dirt acts as the basic foundation for construction, remodeling, and development projects. Any commercial or residential construction or remodeling project that requires extensive development usually requires a certain amount of fill dirt – and Dirt Connections is ready to provide it. The exact amount of fill dirt needed will vary based on the size and nature of the specific project. 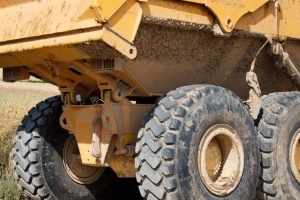 Dirt Connections is able to facilitate the delivery of fill dirt required for any size project, including major projects that require multiple truckloads of dirt. 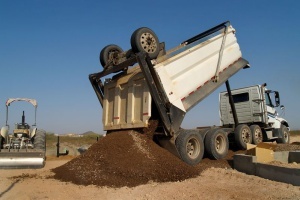 For dirt deliveries in Fairfax, VA, a fee may apply based on criteria such as job site proximity, material availability, and customer demands. No matter the size and scale of your project, Dirt Connections can help to see it through. Projects in Fairfax, VA requiring ten loads of dirt or more, can have it delivered straight to the job site – completely free. Our free dirt delivery service requires a site inspection before the order is finalized. To ensure safety and access, Dirt Connections offers free site inspection that is required for any project that requires fill dirt in Fairfax, VA. An owner and/or agent must grant authorization prior to site inspection to enter the property. After excavation for any below-grade components of your project (basement, foundation, pool etc.) you may be left with more dirt than you know what to do with. If this is the case, let us handle it. We have the tools and team to quickly clean up your job site in Fairfax, VA. No job is too big. No amount of dirt is too large. Dirt Connections can provides excavation, excess dirt removal, dirt and debris hauling, and dumping in Fairfax, VA. Using fill dirt is one of the best ways to ensure the most solid and stable construction, or the best results when filling in unsightly holes or divets in an otherwise beautiful landscape. With assistance from Dirt Connections and our understanding of the local area, you will have less to manage because we make the delivery and removal of fill dirt hassle-free. Our complimentary site safety inspection will ensure that the process will go smoothly and can help to identify any potential risks prior to delivery. Most important of all, our services are affordable and can provide you with competitively priced dirt delivery or, free delivery if your project requires ten loads or more. Nothing spells frustration more than finding yourself in the middle of a project, only to find that you do not have the proper amount of one material or another. Calculating how much fill dirt you need before you begin can help avoid the extra time and money wasted for a second trip. Figuring out how much dirt to acquire depends heavily on the shape of the project in question. For a rectangular project, measure out its three dimensions, length, width and height, and convert the result into cubic inches. This is the easiest unit of measurement, as it can easily be converted into the cubic yards that make up how it is usually sold. Then, multiply the length by the width, and the result by the height. This final number is how many cubic inches of fill dirt is needed. If the project is circular in nature, things get a tad trickier. First measure the diameter of the area and then its depth and record both values once again in inches. The correct volume is achieved by multiplying pi (3.142) by the radius squared and then by the depth. Schedule Your Fill Dirt Delivery in Fairfax, VA! Regardless of the size or requirements of your project – Dirt Connections is ready to help. To learn more about our Fairfax, VA fill dirt delivery service, or to schedule your free dirt delivery, give us a call or contact us online. The success of your project is our number one priority!